I kept to the count and, before long, found myself setting up for Pasasana. I was pleasantly surprised. Not only did I think that I would be unable to get through much more than the standing series, I was also able to get through at a much quicker pace than I usually do (or so it would seem). Glancing at the clock, I remembered that my teacher had wanted to assist me in Yoga Nidrasana in a new way than she has in the past. 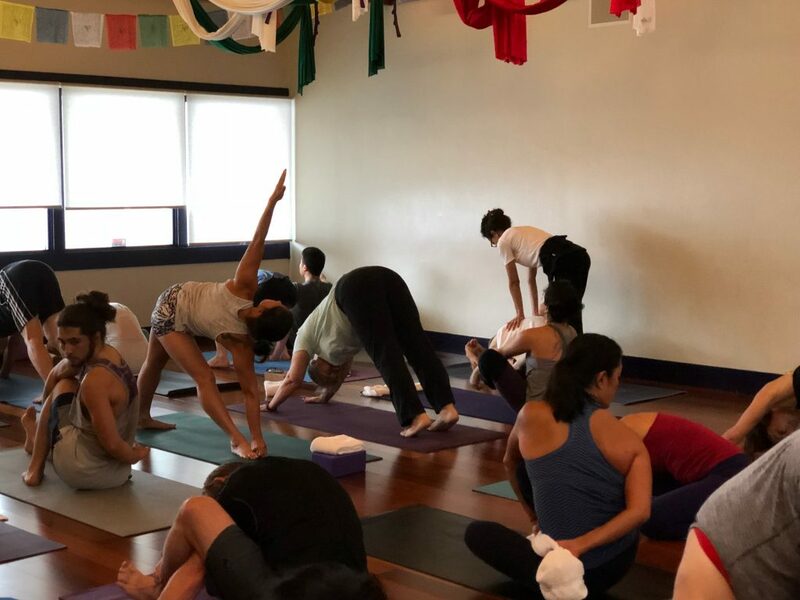 Although I was moving through my practice at a steady clip, I wasn’t sure if I’d get to that pose before the room closed for Mysore. I stayed focused and eliminated the “additives and preservatives” that I often insert on my days-of-uncertainty. In doing so, things just sort of lined up perfectly. I arrived at the pose well before we were out of time. My teacher came over to give me the magical assist which helped to open my tight hips and relieve my back. By this time, the room was emptying out. No longer where the mats in neat little rows, but the energy in the room was just as sweet as when I first walked in. As for me, I felt great!